Weddings are are great time in any couple’s life. It is a time for the lovers to really express themselves as a couple. 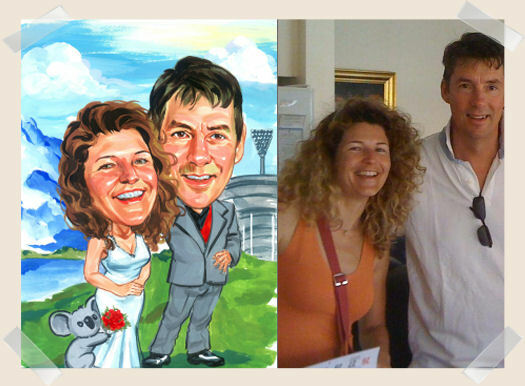 How can a caricature fit into a wedding event? Wedding art design ideas could means a unique wedding invitation design with a difference! 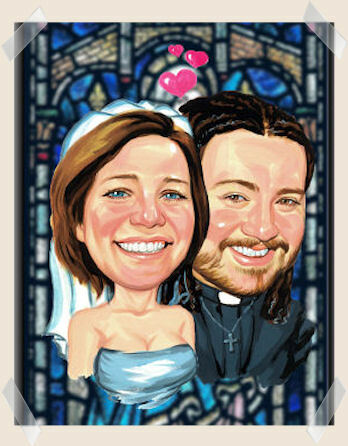 Wedding art design is supplied in JPG format ready for your commercial or home printer! Just specify the size you want and John will proportion it perfectly! 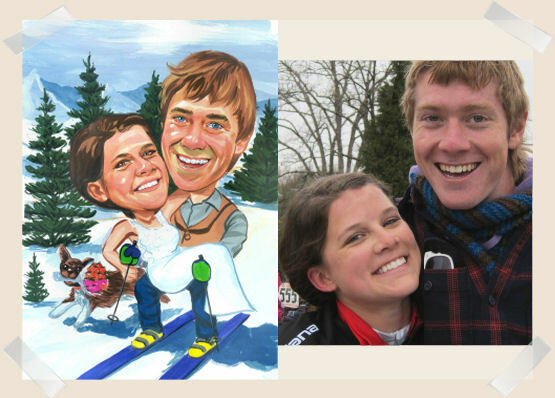 A caricature wedding date claimer or wedding invitation can set the stage for your wedding reception theme, be it very formal or very fun…a caricature can reflect your personalities. A unique and totally memorable piece of wedding related art will certainly set the scene and have your guests commenting on how innovative you have been! 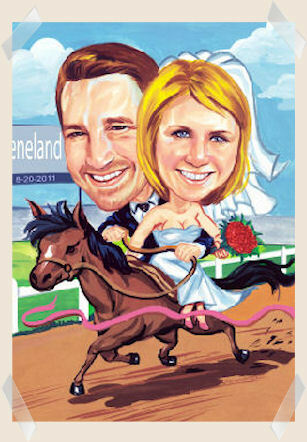 The wedding art can also be used as a wall art. Have it placed in a frame with a wide matting have have people sign the edges, then place the glass in front of the art – a perfect way to always see your wedding guest’s well-wishes! I hope this helps you with Wedding invitation design ideas.